Buy Saturn's Child now at the OmniTone store. A peaceful and moodily beautiful weave of piano and vibes by veterans of New York's creative jazz scene. Expansive, reflective improvisations for jazz fan and tasteful music lover alike of highly original compositions. This is gentle, contemplative and highly listenable music, but not lightweight. 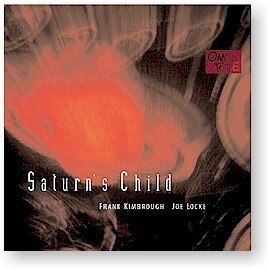 Frank Kimbrough's compositions are published by Kimbrough Music (BMI). Joe Locke's compositions are published by Wire Walker Music (BMI). "Midnight" is published by Wire Walker Music (BMI) and Kimbrough Music (BMI). Frank Kimbrough plays a Steinway piano. Joe Locke uses Gambal mallets. Visit the Jazz Composers Collective at www.jazzcollective.com.